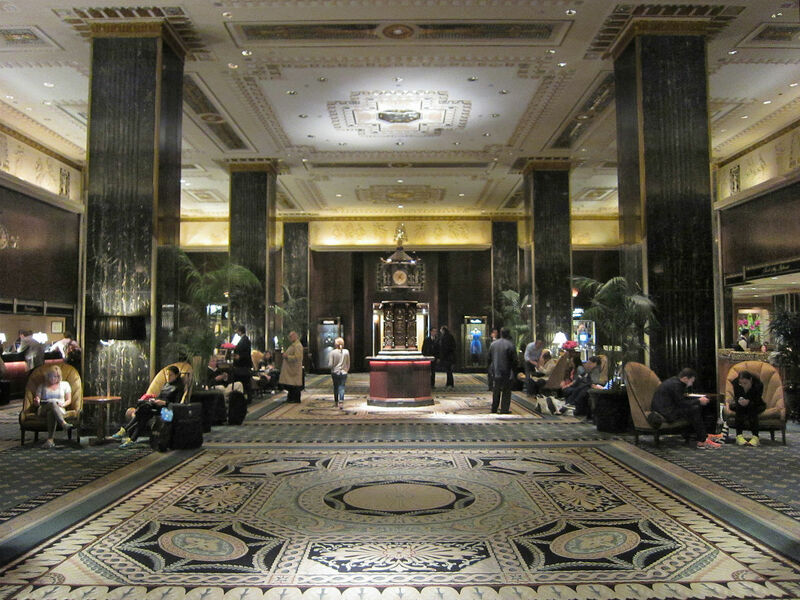 The New York City Landmarks Preservation Commission (LPC) held a public hearing this morning to discuss the status of the much-loved interior of the Waldorf Astoria Hotel on Park Avenue. The hearing comes after owners of the hotel announced plans to renovate the building last year. The New York City Landmarks Preservation Commission (LPC) held a public hearing this morning to discuss the status of the much-loved interior of the Waldorf Astoria Hotel on Park Avenue. At the meeting, cases for landmarking much of the 1930s art deco interior were made with many speaking passionately about their significance. The hearing comes after owners of the hotel, the Anbang Insurance Group from Beijing, China, announced plans to renovate the building last year. Plans call for gutting 560 hotel rooms and converting them to 321 luxury condos. However, upon hearing the news of the owner’s plans—work is due to start this fall—the LPC voted unanimously in November to calendar the hotel’s interior spaces for consideration. “All of [the interior] spaces are of exceptional design and character. We strongly believe that the protection, designation, and restoration of these important art deco interiors is a critical part of preserving New York City’s rich history of architectural design and style—especially the city’s art deco monuments,” said Roberta Nusim, president of the Art Deco Society of New York (ADSNY). “The interior design of the Waldorf Astoria exemplifies a period of New York life that was extraordinarily important to the growth of the city’s image,” she continued. 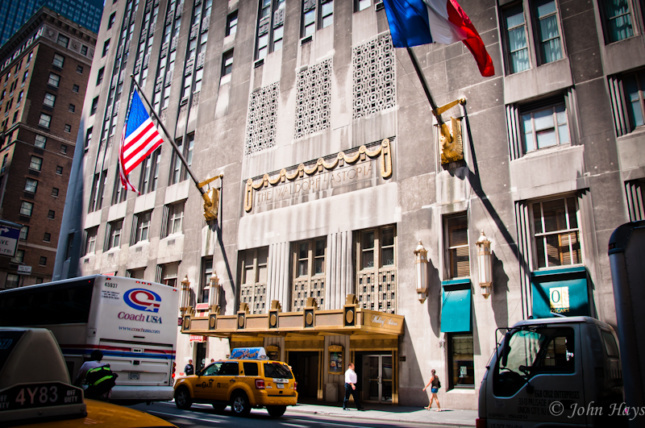 “The Waldorf Astoria’s interiors hold significance as being one of the finest surviving examples of art deco, classic modernist design.” Nusim also added that the ADSNY had received more than 700 signatures from across the globe (a testament to the hotel’s international status) calling for the interior’s designation. Local officials, including City Councilperson Dan Garodnick, have also expressed their support of the motion. Under review for designation were the Park Avenue foyer and colonnade, the West Lounge (“Peacock Alley”), the East Arcade, the Lexington Avenue stairs, assorted lobbies and vestibules, the Ballroom entrance hall, and the famous Grand Ballroom. The ballroom hosts many high-profile events, including the Al Smith dinner that serves as comedic relief each presidential election season as the two candidates take light-hearted jabs at each other. Most of the spaces are publicly accessible, too. Landmarking them will ensure the renowned hotel maintains its standing as an architectural must-see for tourists and locals alike.